We asked Wade a few weeks ago if they’re related. We decided to just go ahead and speed up the process. 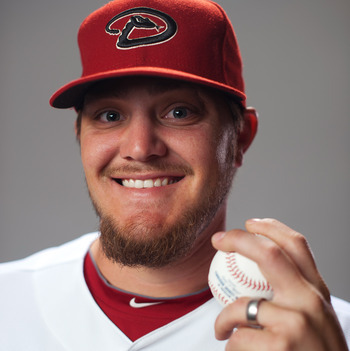 It’s Wade Miley Cyrus. This past Tuesday, Jake and I attended our first major league baseball game of the 2013 season. We watched the Arizona Diamondbacks lose to the Washington Natitudes 7-5 after nine innings of surprisingly mediocre baseball. Boring game recaps be damned; here are the nine things we learned from this night of based ballz. During batting practice, we were kindly heckling some Diamondbacks players in right field as they shagged fly balls and probably talked about dirty things. At one point, Ian Kennedy and Wade Miley simultaneously drifted back for a fly ball. Kennedy grabbed it, but it was a near collision. After criticizing for their lack of communication, we finally had Wade’s attention. We had to ask. 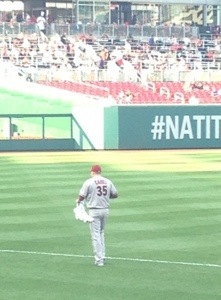 When the D-backs starter for the night emerged from the dugout, we were surprised by the sheer size of him. He’s listed at 6″4 220 lbs but he looked to be the biggest player on the team. Just a big dude. 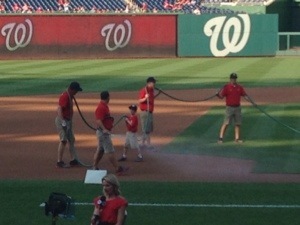 We were sure this was Jose Altuve just doing some adorable charity work, but it seems to just be some lucky kid tasked with carrying a hose around. Sidenote: The Fox Sports West reporter at the bottom of the picture looked remarkably unhappy for the entire game.